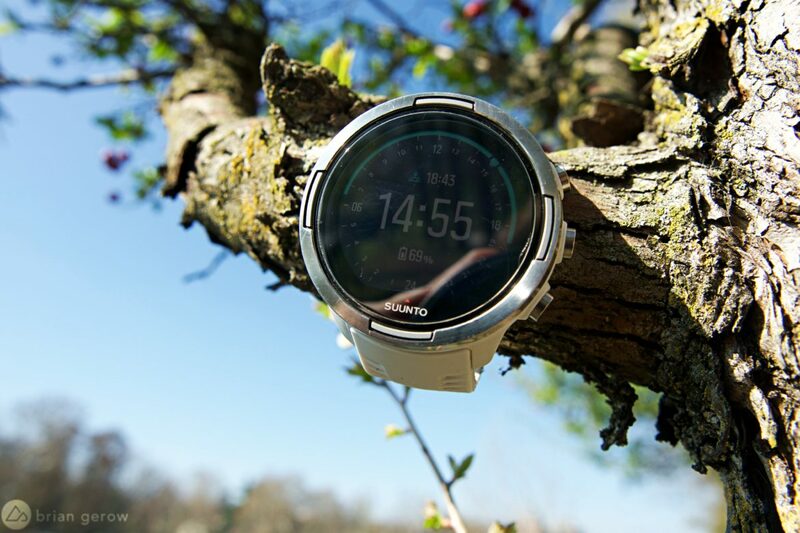 Finland’s sport watch and dive computer company Suunto began designing orienting devices eighty years ago when the orienteering enthusiast, Tuomas Vohlonen, invented the liquid based compass for mass production. The company’s name is pronounced “Soon-toh,” the Finish word for direction. I am intrigued by mountain bike sport watches for a number of reasons. I like to look at where I have been and save particularly good routes to share with friends, I don’t enjoy wearing a heart rate strap but I want to know how my ticker is doing while training, and I have broken every handlebar-mounted computer I have had in one dirt-nap or another. 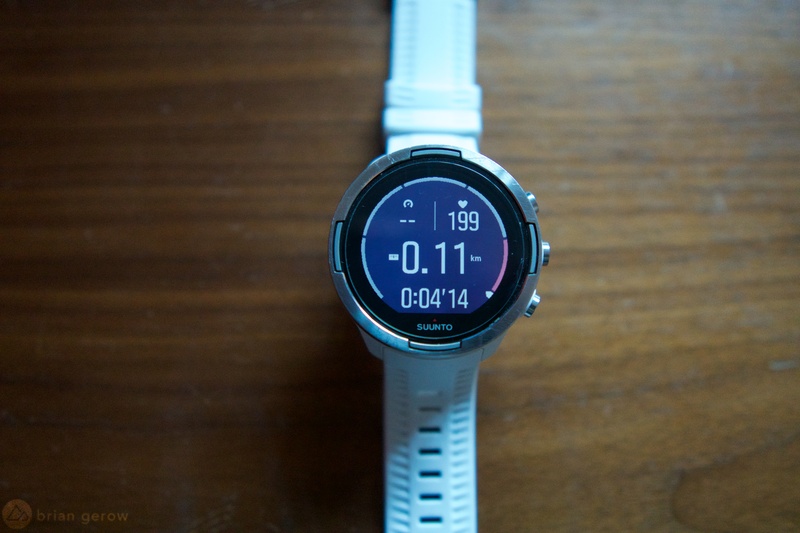 Several of Suunto’s sport watches have been designed for endurance trail running, and one, in particular, was specifically created for “ultra-endurance” athletes. In my mind, the use of “ultra” nomenclature means that I can ride for the entire day, recording every turn, and re-trace all of those turns at a later date. 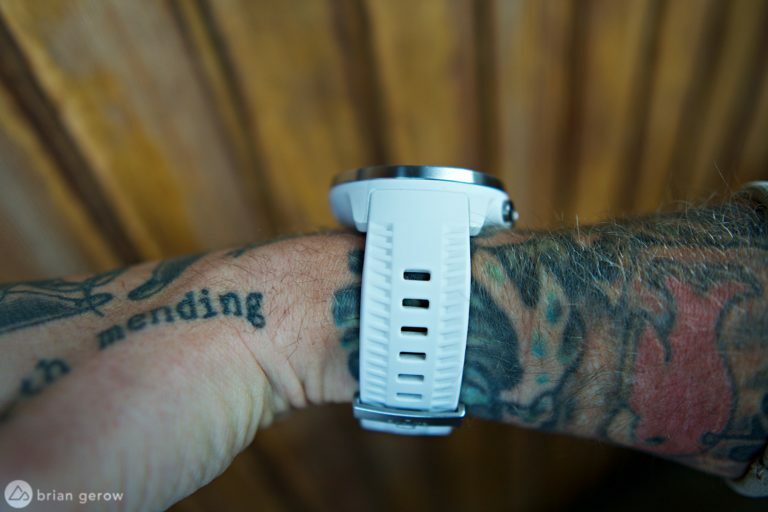 I recently received the Suunto 9 multi-sport watch to review from the saddle, and subsequently waited several days for the battery to need a charge. The multiple screens and fields on the device display a useful variety of information. I want a minimal amount of input to consider while riding, so I found a page that shows me how long I’ve been riding, and what time it is, and was happy with that. The 9’s bezel, case, and face are a collection of clean lines and precise aesthetics. If it were half as thick it could pass for a broad-faced fashion watch. If you don’t dig the white case and band, the watch also comes in black or lime. 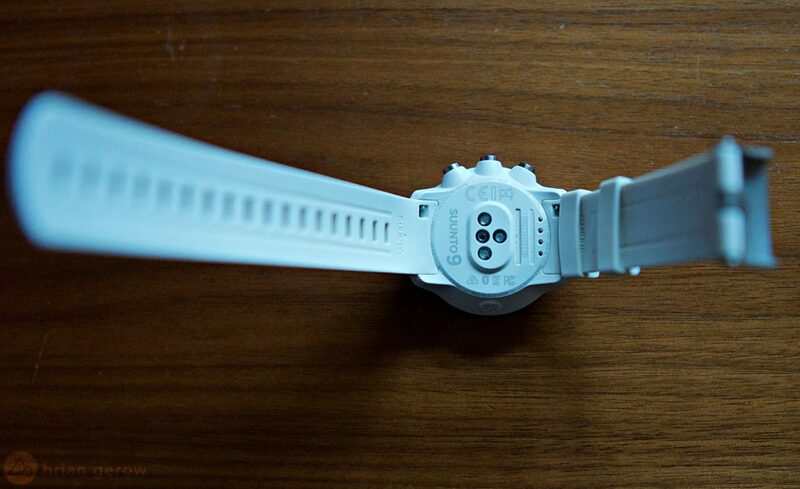 A magnetized USB plug connects to the flat waterproof surface on the back of the watch face. 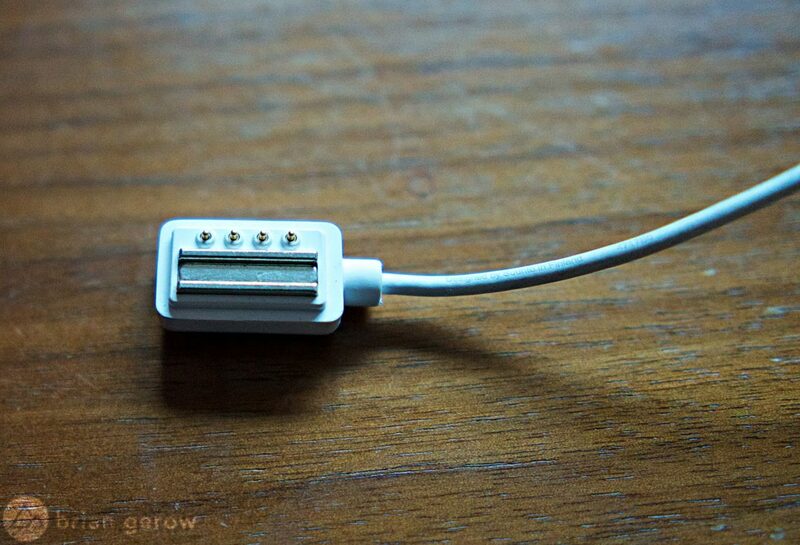 This clean and simple interface is free of small connection pockets and plugs that would eventually break off and become corroded with sweat. These four dots on the back light up the optical heart rate sensor, similar to those on most newer sport watches. In order for the sensor to work properly, you need to wear the watch above the bumpy spot that your ulna bone makes above your wrist. The first sensation I noticed while riding with the Suunto 9 is that it is massive. Not only is it as wide as my dainty wrist, but it feels heavy. I would expect a watch with spaceship features to have some heft, but the 9 is a bit much for me. It’s heavy enough that I had to strap it fairly tight to keep it from sliding around, which in turn caused some intense chafing on my wrist and a bit of donated blood. My skin eventually toughened up under the watch, but we had an unpleasant first few weeks together. In addition to feeling generally girthsome, the face of the 9 is broad enough that my arm skin actuated the buttons while riding, setting loose a storm of functions and analysis I didn’t even know existed. It seems the engineers at Suunto may have neglected to seriously mountain bike with the watch on before stamping it with the “multisport” label. Fit and ergonomics aside, the watch largely works well. It tracks rides with great accuracy, possibly better than some others I have tested, and accurately saves data for later viewing and analysis. 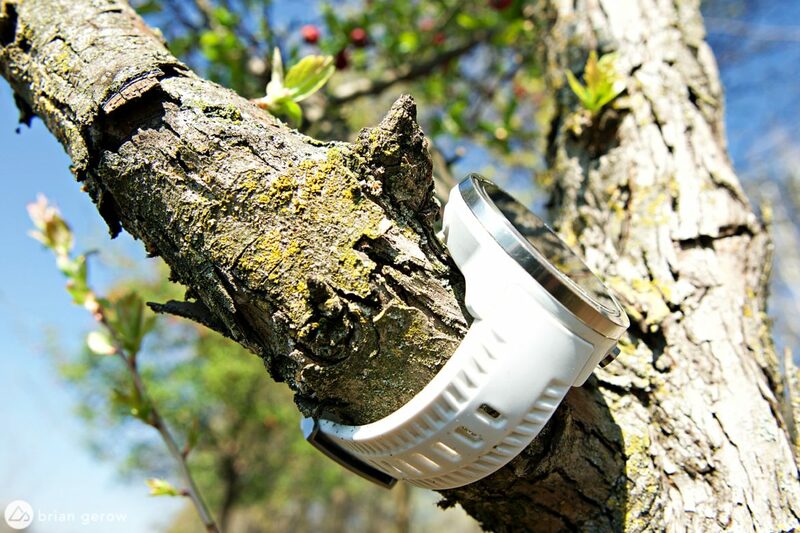 It finds the GPS signal quickly, and its interface is relatively intuitive. Suunto’s online software, however, is a bit clunky and requires more energy than I want to give to any computer. It was easy enough to link the watch with Strava to save everything there, and I soon forgot about the Suunto app. I tested the watch’s heart rate sensor against a heart rate strap that I connected to a bike-mounted computer, and another watch based heart rate monitor I own, and it failed each test quite surprisingly. While resting the sensor is fairly accurate, but as my heart rate went up it became increasingly less so. On one ride my other watch, which Is accurate when compared to a chest strap, said that my heart rate was around 140bpm, while the Suunto 9 stayed closer to 85bpm. My perceived effort was definitely closer to the 140bpm mark. I let the battery run down, reset the watch, and tried again, only to find similar results. You can pair the device with a chest strap, but for my interests, this would negate a key impetus to buy the watch. Finally, the battery life in this device is phenomenal. 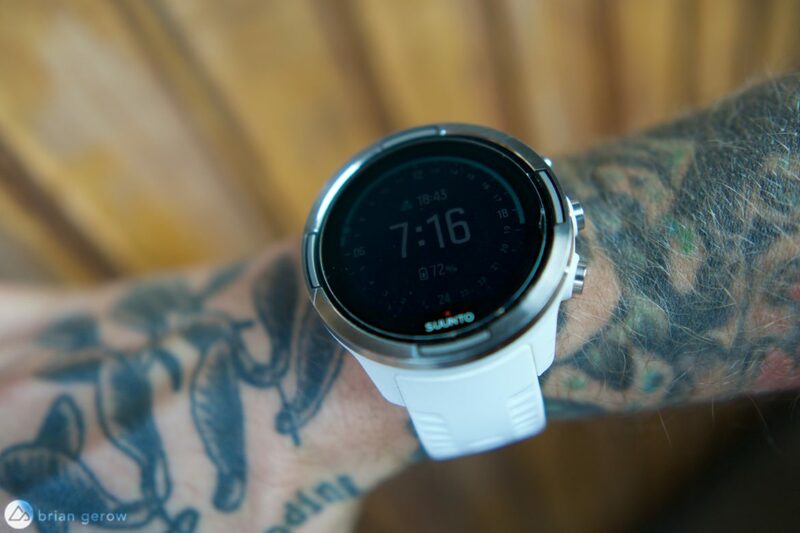 It can track your daily steps and heart rate for several days before needing to be plugged in and is one of the few watches that can track a solo 24hr race without recharging. For folks looking for longer runtime to record “ultra” adventures, the 9 shines above much of the competition. 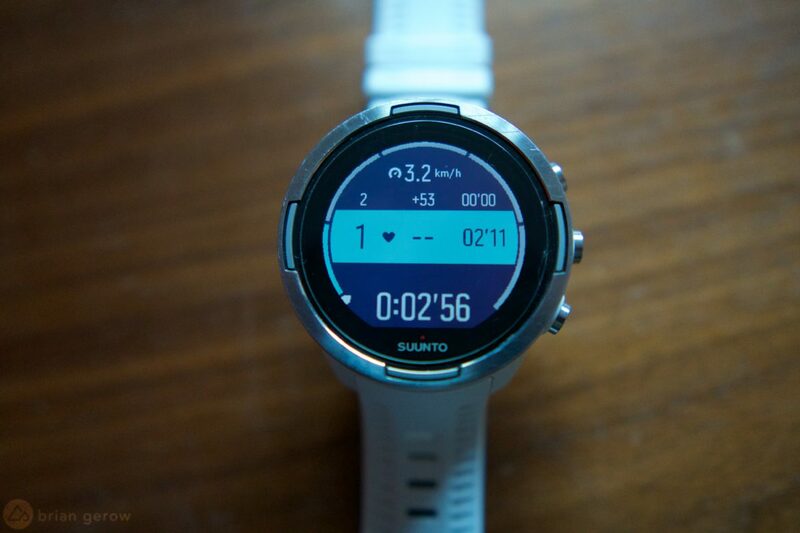 The Suunto 9 is a good looking watch, ready to track your path in most sports. If you are in search of a device that you can use to record a wide variety of sports, with impressively long battery life, and heart rate is not a top priority, this piece is worth a look. If you prefer a simpler computer that tracks your rides and heartbeat accurately, there are better options out there for less cash.